A few days ago I finally finished something I started 24 years ago: I hooked up an old CRT, got out my SNES, and fired up a long-dormant save file on my Secret of Mana cartridge. 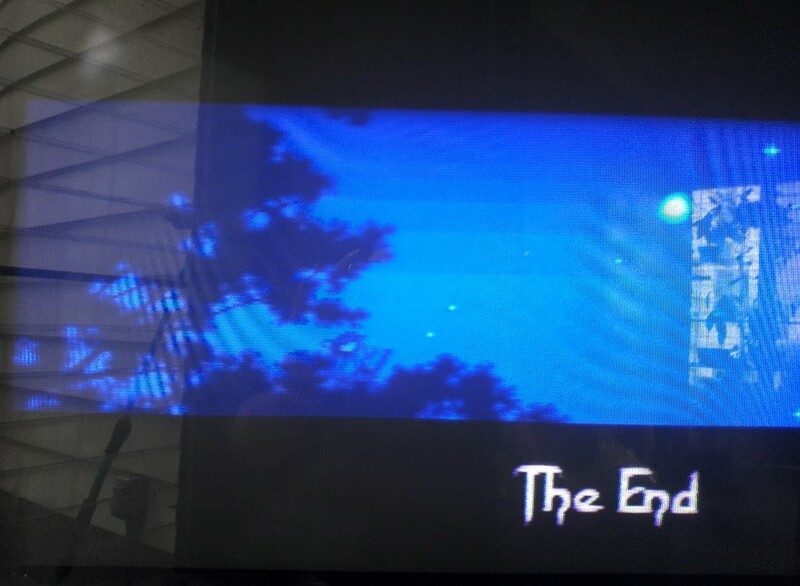 Once I remembered (relearned) how to play, I finished the game, end credits and all, in under 45 minutes. It honestly took almost as long to find the game and set everything up as it did to finish it. The save file was as close to final boss' door as you could get. It's kind of funny (I think) imagining the Dark Litch sitting around anxiously awaiting my entrance, and his subsequent beat down. My character (I named him Zero because I was a teenager, and edgy) was almost completely maxed out, as were his companions Jubei and Hanzo. (I had seen Ninja Scroll not long before, and was really interested in Japan, because as already indicated I was a teenager, and had been conditioned for over a decade to think ninjas were cool. Yes, I knew at the time Jubei was a boy's name, but like I said I was a teenager, and I thought it was cool.) They had max life, full supplies, the best weapons, and were trained in all magic with full meters. If anything, my party was over prepared. The question that I’m sure you are asking yourself is, "Why didn’t he finish this 23 years ago?" It's a question I don’t think I fully realized the answer to until I saw the end credits finish rolling. Fair warning: This is long, about 2,200 words. This is really more about my personal experiences in connection with Secret of Mana, but strangely I don’t really talk too much about the game itself. I also get a little spoilery, so if you don’t want to know some late game info about Secret of Mana, maybe don't read this - especially the last few paragraphs. I hope you enjoy! I was almost always a bit late to Nintendo consoles. My NES, SNES, N64, and Game Boy were all purchased used - each system I bought from a friend when they (foolishly) grew tired of them. There were a lot of factors involved with why I was kind of behind the times when it came to systems, but most of the time it came down to money. I am one of three children, so what money there was got spread around...and to be honest there wasn't a ton of it to begin with. We had a roof over our heads, clothes on our backs, and food in our stomachs, but extras took a back seat. Game systems can be expensive, and things like food and clothes got priority. The big factor with the SNES was that the Genesis had come out first, and had already taken a price cut by the time the SNES was released. In the 8-bit days I was Nintendo all the way, but in the 16-bit era I was a Genesis kid. I ended up getting my SNES from a childhood friend around the release of Legend of Zelda: A Link to the Past. We were in high school now, and he was interested in positioning himself with certain groups of friends interested in popularity, sports, girls, and partying - but not video games. I, however, was still interested in games. Sure, girls were interesting, but I found them to be fickle and complicated. Video games, on the other hand, were reliable and fairly straight forward. I got a few games with the system, but my attention was with Zelda. Zelda had been a big game for me on the NES. My mother and I would sit around and play, and occasionally she would even keep me home from school so we could get through a particularly interesting part. I would control Link, and she would help figure out the puzzles and where to go. We didn't have any guidance other than what was explained in the manual. 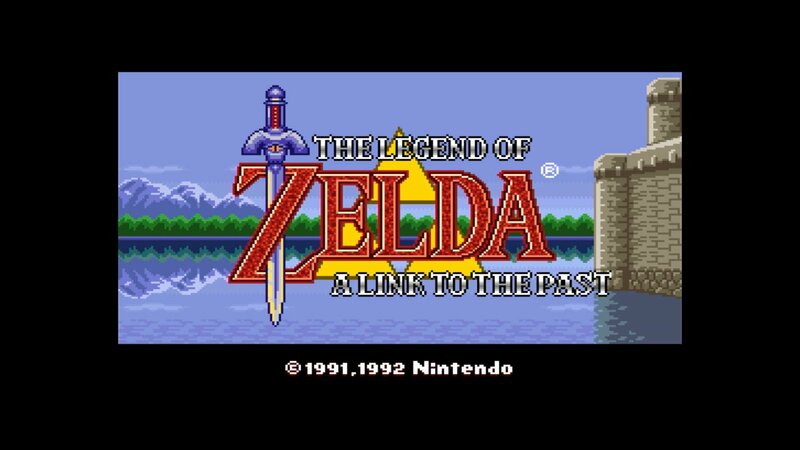 After completing Zelda on my newly-acquired SNES I started looking for another action-adventure game with RPG elements. I had never gotten into turn-based games (I still find them difficult to get into unless they are on a portable system); I always leaned towards games with a bit more action, something that fit into my twitchy nature. When I read about this new game coming out soon called Secret of Mana that was getting compared to Zelda, and had actual action combat mechanics I was interested. By 1993 I was working part-time delivering pizza, so money for extras like video games wasn't an issue. I purchased Secret of Mana very close to (if not day of) launch, and immediately was hooked. I loved the story, characters, the gameplay, and I played it a lot. I was getting involved with Dungeons and Dragons thanks to new friends with like-minded interests, so the fantasy setting was even more appealing. When I wasn't involved with school, work, or friends, I was retreating to my room and playing Secret of Mana. Other than Zelda, and now Secret of Mana and DnD, I was traditionally interested in sci-fi. My dad would take me to see movies like Star Wars and Tron, and we would watch Battleship Yamato and Star Trek at home. And a lot of the games I was interested in were also sci-fi themed. I played shmups like Zanac and Thunderforce III, and action games like Contra and Bionic Commando - but my favorite sci-fi game was (is) the adventure game Metroid. I loved the Metroid universe. I loved the exploring, the atmosphere, the cool tech. So when Super Metroid came out everything got put on hold, so I could play it - including Secret of Mana. Not long after Super Metroid came out a close friend died suddenly. It was an "accident," but he probably intended it to happen. It happened late one night, and I was stunned, shocked; there was nothing to be done, he was gone, and not coming back. Worse yet, he probably chose to leave. I couldn't deal with it right away, so I spent most of the night he died, and into the following morning, playing Super Metroid. It was probably Metroid because it was what was in the system at the time, but the familiarity of the world, the rhythmic nature of the gameplay, and the attention to exploration was really what I needed. 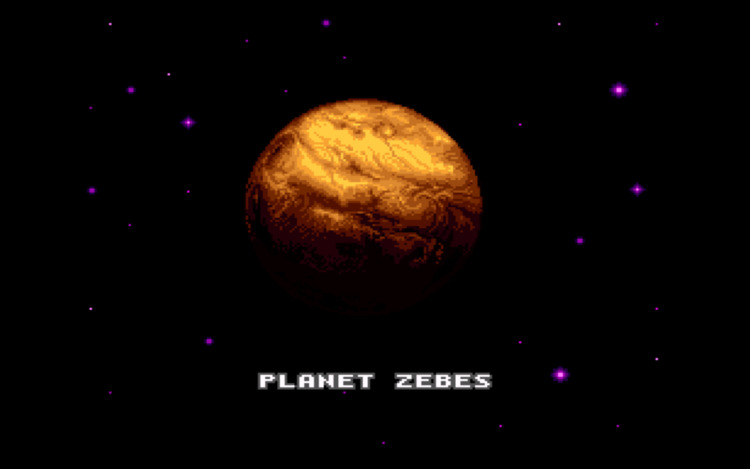 There was a lot to deal with in the coming days, but that night I was content exploring the distant planet Zebes. Over the coming months I used video games to help deal with losing a friend. I often give the credit to Super Metroid in helping me cope, but there were other games that helped - the other major one being Secret of Mana. See this friend I lost was part of the group of friends that I had made in high school that were into the things I was, like video games and Dungeons and Dragons. I had spent a long time in the world of Secret of Mana, and a lot of that time was paralleled by time I spent with my friends playing DnD. I probably got into Secret of Mana as much as I did because of the time I spent with these friends playing DnD just as much, and because of the influence of Zelda. Things were different after our friend died. We didn't return to a lot of the things we used to do; those things just didn’t feel right anymore. 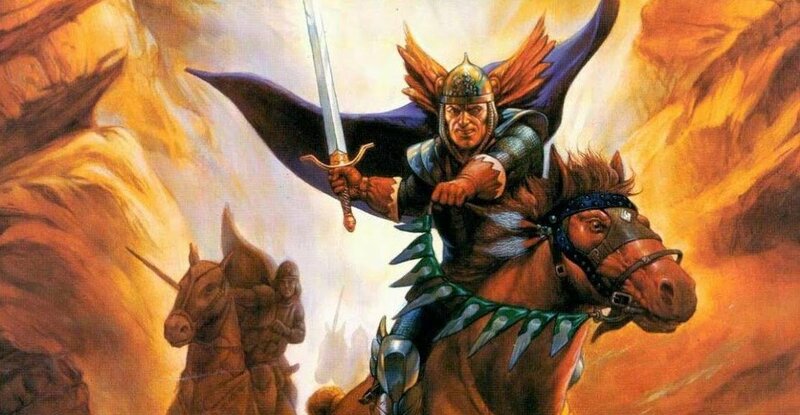 He had been a major part of Dungeons and Dragons, and without him it didn’t feel right, so we stopped playing. Returning to Secret of Mana was a way for me to return to those days filled with DnD and friends, a way to return to days when our friend was still alive - a return to a time that was a bit happier. As I stated in the beginning I played Secret of Mana a lot. I kept playing it for as long as I could, and when I got to the point where I couldn't really play it anymore without finishing it, I stopped. I stopped playing Secret of Mana, and didn't return to it for almost 24 years, because in some way, in my mind, once I beat it, and finished it, the game wouldn't be the only thing that would end. Once I finished it, a major connection to a close friend would have ended as well, and he would be truly, finally gone. This connection is something I know I felt for all these years, but I don't think I really understood it until just a few days ago. In my late teens/early 20s I lost time for video games. Other things occupied my time, like girls, work, and college. 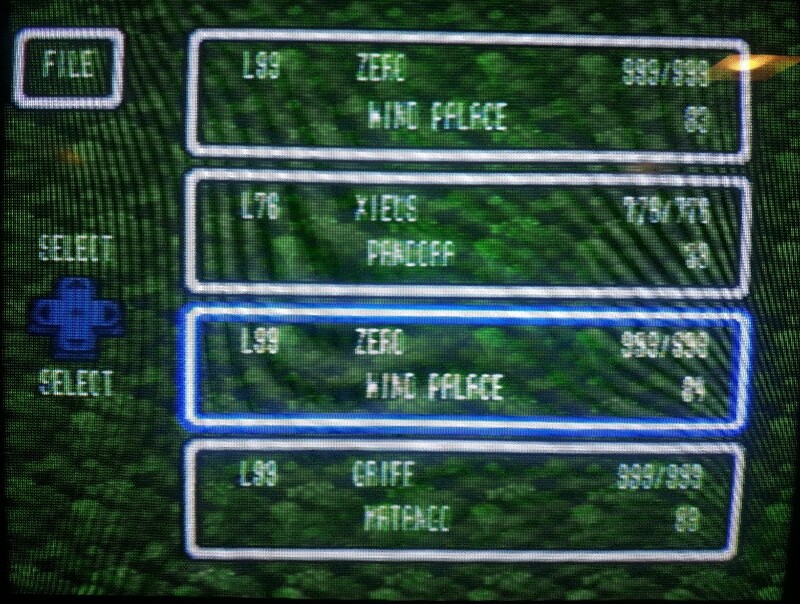 Gradually I forgot the real reason I stopped playing Secret of Mana. My younger brother eventually started playing it, caught up, and beat me to finishing it. For years we would joke how I never beat it, how close I was when I stopped, and how I would never finish it. I tend to over prepare for bosses and encounters in video games, and sometimes I get burnt out by the grind and step away from a game. I always thought that might have been a factor, but I always suspected something else. 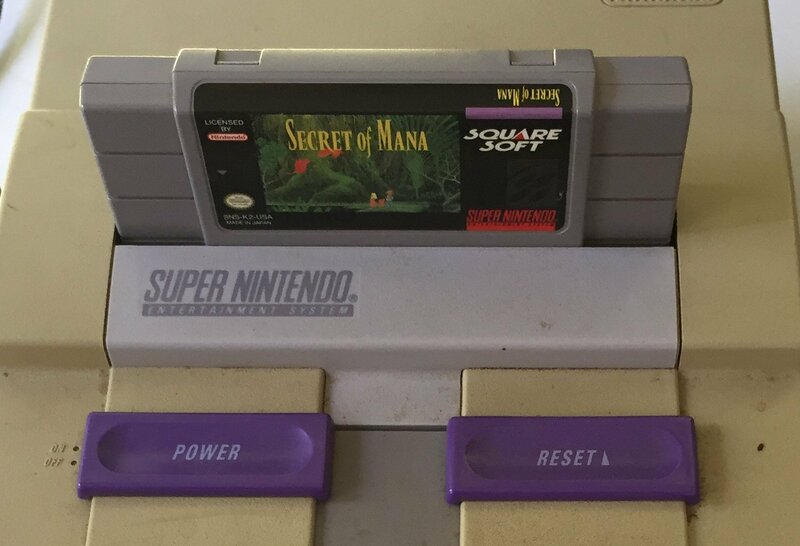 For the longest time I would feel a quiet sadness whenever Secret of Mana came up, and I thought it was shame for not finishing it; but I know now it was because of the connection to a past time, and a lost friend. With all the talk of the Japan-exclusive collection on Switch, the SNES Classic, and the remake currently in development, Secret of Mana has been talked about a lot recently. Not long ago I heard a podcast where they were talking about how the batteries on their old SNES games had been failing. 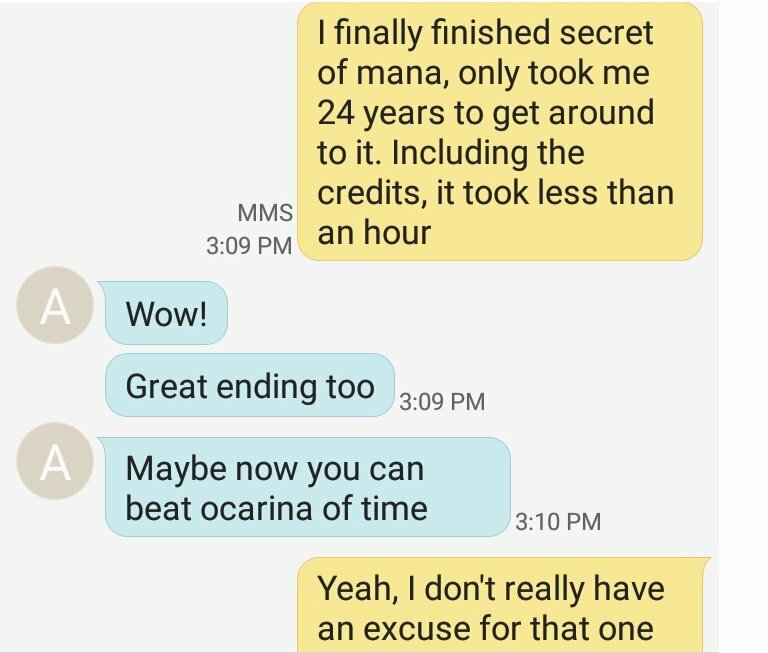 I got really nervous that mine had failed too, so I decided I needed to finally sit down and beat Secret of Mana once and for all. For years I thought I stopped playing just because the game was so damn good I didn't want it to end, but the real reason turned out to be a little more complicated. I think the whole connection between finishing Secret of Mana and saying another goodbye to an old friend really dawned on me when the sprite (Hanzo in my game) has to sacrifice himself to defeat the Mana Beast at the end. It turns out that the sprite does not die, he just leaves the hero's world, and lives on. I must have seen the sprite as a symbol for my friend, and to finish the game I had to say good bye to Hanzo, and that was a little too close to home for me at the time. It has been a long time since I lost my friend, and I have come to terms with his involvement in the loss. I went through the denial, the anger, and the acceptance. 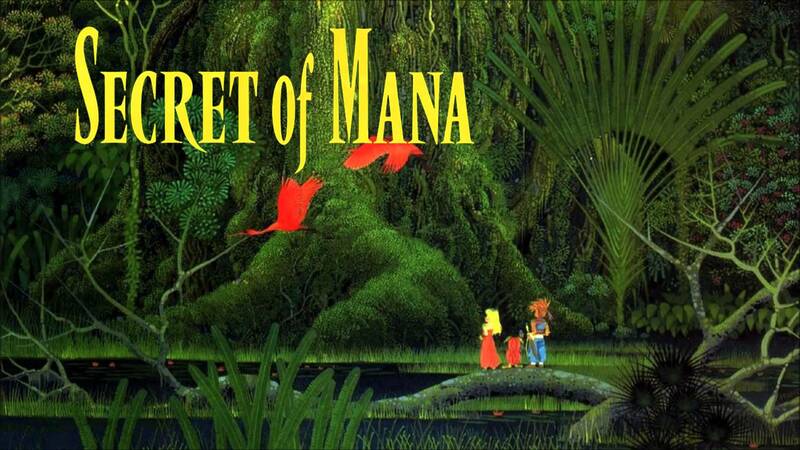 There is a little piece of me that regrets not finishing Secret of Mana sooner, and that I let myself experience the connection only to have forgotten it over time. But I think it was ultimately for the best. I was able to properly deal with the tragedy of losing friend, a tragedy that certainly had a profound effect on my life; but I did it in my own way. If I hadn't experienced Hanzo leaving, but not dying, I may not have accepted my friend’s suicide for what it was. In preparing this story I realized there were certain images I should have to accompany it for effect - one of them should be a photo of the screen that displayed my ancient save file. I was thinking how it would be very dramatic, and make for a good story if I went back to photograph it only to find that the battery had finally failed, and it had only held out long enough for me to come back, and finish the game, and say good bye. But sure enough there it was waiting for me like it has been for the past two decades. I could have easily lied and said it was gone, but I think it's best that it's still there. That somehow even though I finished the game and have now closed that chapter, a little piece of my friend is still in there. I think I'll chose to go with the Schrodinger's Cat approach, and never turn that game back on to check on it, and assume it's still right there the whole time waiting for me. Well now there is the story of why I played Secret of Mana to the very end, but didn't finish it for a long time. I hope you enjoyed reading it. This was my first blog; I've been wanting to write one for awhile, and this seemed like a great place to start. Thank you all for taking the time to read this. I realize it may have gotten a little bit rambly at points, and it is more about me than it is about Secret of Mana. Also, thank you to all of those who read my Quickpost and encouraged me to tell the story. 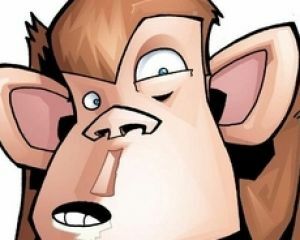 Thank you Fuzunga, Dere, Kevin Mersereau, Chris Moyse, Agent9, Deadgar64, Greenhornet214, Zer0t0nin, and jasondm300.